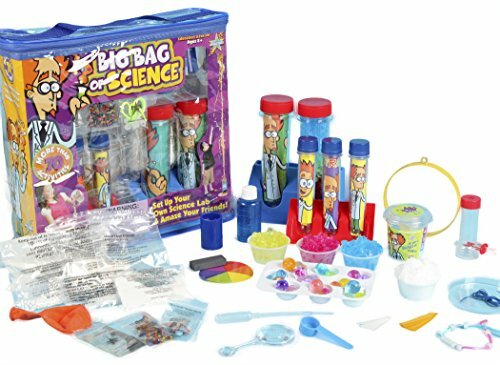 Springboard into the exciting world of science with the Big Bag of Science kit. This kid’s science kit is created for kids 8 years and older to perform more than 70 science projects that allow them to explore educational science principles while having fun. The kit comes with the key tools and safe chemicals to get your young scientist having fun with science right out of the bag. Some of the favorite activites in this kit include growing jelly crystals, making a rainbow in a tube, whipping up a batch of quicksand, making slime and more.